If you’ve dreamed of driving a top-quality truck but the idea of a full-on purchase is giving you cold feet, a Ram lease from Oxmoor Chrysler Dodge Jeep Ram – a leading Ram dealership near Shelbyville, Kentucky – may be just what you need. An auto lease is an excellent option for drivers who have a tighter budget but would like to drive a high-quality vehicle. With lower monthly payments, a smaller down payment, and more predictable maintenance-related costs, an auto lease can open the door to a wide variety of outstanding vehicles without the financial burden or commitment of a full purchase. Those who intend to use their Ram vehicle for commercial purposes can also benefit greatly from tax deduction opportunities. If you’re a responsible driver and familiarize yourself with the guidelines of your auto lease agreement, a Ram lease is a perfectly viable way of enjoying a top-of-the-line driving experience without the commitment of a full purchase. Give us a call today to find out if a Ram lease is right for you! A Ram lease from Oxmoor Chrysler Dodge Jeep Ram grants you access to any of the outstanding Ram trucks and cargo vans in our selection. If you’re looking for a truck that excels on your daily I-64 commute but still packs enough power to conquer tough jobs when the times comes, the versatile Ram 1500 is the truck for you. 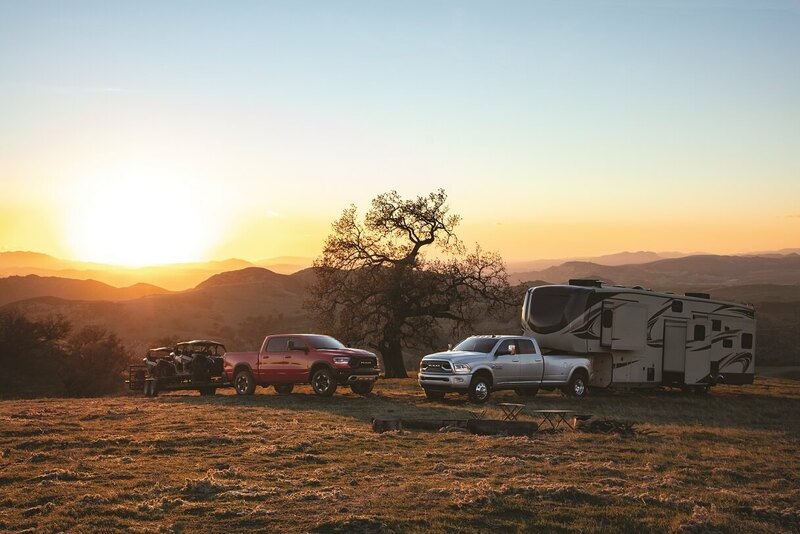 If you’re looking for a truck with some extra power, whether it’s for commercial ventures, D-I-Y projects, or towing your new camper, the brawny Ram 2500 will rise to the occasion every time, while the unstoppable Ram 3500 can conquer even the toughest projects without breaking a sweat. In our selection, you’ll also find the Ram ProMaster and Ram ProMaster City van, both of which offer an impressive, seemingly endless cargo space and an engine that’s as hard-working as you are. With a Ram lease, you can drive home in any of these uncompromising, American-made trucks and vans. Eager to get behind the wheel? Give us a call to schedule a test drive, or swing by in person at our Ram dealership near Shelbyville, KY, and an Oxmoor Chrysler Dodge Jeep Ram will happily assist you. We hope to see you soon! At the Oxmoor Chrysler Dodge Jeep Ram auto financing center, we’ll help to minimize the financial stress of your driving experience so you can focus more on what matters: enjoying your vehicle! It’s no secret that financial barriers can significantly hinder one’s ability to secure their desired vehicle. With the assistance of our auto financing professionals, we’ll help you overcome budget barriers and secure the Ram lease opportunity or low-rate auto loan you need. With our bad credit financing services, we’ll help you secure Ram financing even if the sight of your credit score makes you cringe. Start your auto financing process today by calling our auto financing center near Shelbyville, KY, or swinging by in person to speak with an Oxmoor Chrysler Dodge Jeep Ram representative face-to-face. Through our website, you can also value your trade-in, calculate monthly payments, and even submit your auto financing application. Why wait? Get started right now!